Retailers have clashed with Dublin Port over plans to restrict cruise ship traffic due to capacity issues. 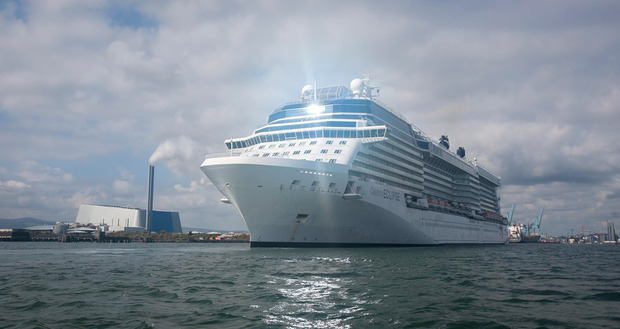 As revealed in the Sunday Independent last month, Dublin Port is to greatly curtail cruise ships using its facilities and may axe the business altogether. Port boss Eamonn O’Reilly said that rising freight volumes and the need to create space due to Brexit meant that trade needed to be prioritised over tourism. Retail Excellence is to meet with the Port on Tuesday to highlight concerns of its members over the decision which would reduce the number of high-spending visitors to the city. The cruise industry is estimated to be worth €50m to the Irish economy. Dublin Town, which represents businesses in the city centre, said the move would result in a loss of up to €18m a year in spending. It claims cruise tourists spend €250 on average in the city.